January: traditionally the time for making soon-to-be-discarded New Year’s resolutions and packing away old holiday ornaments. But for savvy MBA aspirants, January can be a time of exciting new beginnings. 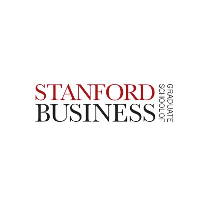 As the number of applicants for top-tier MBA programs continues to grow, candidates might be happy to learn of options beyond the traditional two-year, September-intake programs. One alternative is the January intake, in which classes commence in January as opposed to September. Doesn’t sound too crazy – and it definitely has its perks: time saved, money saved, less time away from the workplace, and, in many cases, less competition during the application process. Schools offering MBA programs that start in January include Columbia Business School, INSEAD, HEC Paris, IMD, and IE. As for post-graduation recruiting, if you are aiming for a less traditional industry, then graduating outside of the summer cycle can be to your advantage, as you’ll likely face less competition. However, it is important to keep in mind that most of the MBA recruiters continue to work on the typical summer graduation schedule. Another advantage is the flexibility and sense of security the January-intake programs can give you during the MBA application process. They allow you to expand the portfolio of MBA programs to which you are applying, without the extra stress of the high application season. The Columbia J-term is for those who can forego the traditional b-school internship. Those who start in January continue their studies during the summer – a time usually allotted for internships and gaining in field experience. The J-term “catches up” to those who started in September during the summer term, and the two classes merge for a mutual second year. For those who feel they know where they are going, already have a foot in the door, are not changing career paths, or are returning to a workplace/family business the J-term can offer a less competitive choice, since there are fewer applicants. Although it is claimed otherwise, Columbia’s J-term has historically favored those who are returning to a workplace or a family business. If this describes you, you might have better chances of getting in. J-term applications open in June and the final application deadline is in early October. It is best to apply as early as possible due to the rolling admissions process. With campuses in both Europe and Asia and an average of 80 different nationalities per class, INSEAD ranks among the most prestigious international programs. 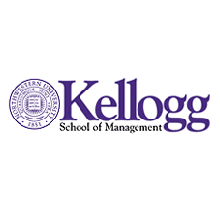 Students can also take advantage of exchange programs with Wharton and Kellogg in the United States. The INSEAD January intake can be a little less competitive than the September intake, but it generally depends on the number of applicants. There were 1018 applicants admitted in 2015, split about equally between the two terms. Those who begin in September finish their MBA in 10 consecutive months, whereas those who begin in January have the option of a summer internship. IMD’s program specializes in international business. It consists of a boutique-style program that is intensive, integrative, and intimate. IMD is extremely well connected to European industries, enhancing students’ chances of receiving full-time job offers. Uniquely, IMD has no September admission – the program is one-year long, and the term begins in January. Unlike most US schools, IMD is receptive to older candidates: its students’ average age is 31. As an international program, IMD requires high proficiency in English and a working knowledge of an additional language. By the way, did we mention that lunch is provided every day? Not too shabby. If you love croissants, the Champs Élysées, and top-tier global MBA programs, then HEC Paris is for you. The HEC Paris MBA program offers a September and January intake. The September intake program is 16 months long, divided equally between an initial fundamental business skills stage and a customized phase. Those who apply for January intake can complete their courses in 12 months and use the customized phase to dive straight into fieldwork. This opportunity is undeniably beneficial. The more opportunities to get your foot in the door, the better. IE is an international, one-year program whose prestige has been recently recognized by major global rankings, including those of the Financial Times. Offering November and April intakes in addition to January, IE’s multicultural program is designed to adapt to the student’s personal and professional needs. The IE MBA is particularly attuned toward family businesses and can definitely add value to this niche. Let our MBA consultants help you get accepted to the MBA program of your choice.